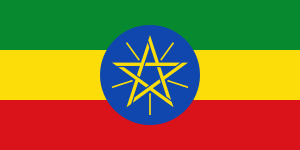 Sebat Bet ("Seven houses") is an Afroasiatic language spoken in Ethiopia. Gyeto, Endegegn and the extinct Mesmes language are sometimes considered subdialects of Inor. ↑ Hammarström, Harald; Forkel, Robert; Haspelmath, Martin; Bank, Sebastian, eds. (2016). "Sebat Bet Gurage". Glottolog 2.7. Jena: Max Planck Institute for the Science of Human History. Leslau, Wolf. 1997. "Chaha (Gurage) Phonology" in Kaye, Alan S. (ed. ): Phonologies of Asia and Africa 1. Winona Lake: Eisenbrauns. pp. 373–397. Rose, Sharon. 2007. "Chaha (Gurage) Morphology" in Kaye, Alan D. (ed. ): Morphologies of Africa and Asia 1. Winona Lake: Eisenbrauns. pp. 403–427.